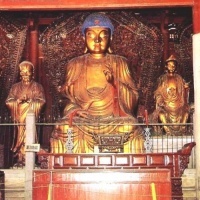 The largest of Quanzhou’s Buddhist temples, Kaiyuan is also the city’s primary tourist attraction. The temple has an airy, stone-paved courtyard flanked by the impressive East and West Pagodas. Surrounded by sculptures of Buddhist icons, the pagodas are unique for their Chinese and Indian artistic styles. Although the temple dates back to AD 686, the pagodas were not constructed until more than 500 years later. The ceiling of the main hall is lined with 24 flying apsaras, acrobatic figurines in the early Buddhist style. 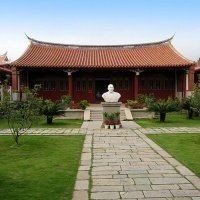 To the right of the temple, just behind the garden containing the East Pagoda, is a small but worthwhile exhibit on the history of navigation and foreign contact in Quanzhou, focusing on the Song and Yuan dynasties. 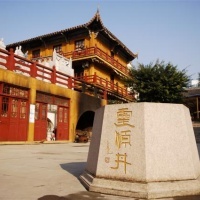 The very old boasts here are strangely enticing, particularly the partially reconstructed 13th-century sailing ship, discovered in Quanzhou Bay in 1973 during the dredging of an irrigation channel.